Plant: should the market decide? Complaints from competitors that a law firm is engaging in predatory pricing are difficult to deal with, the Solicitors Regulation Authority (SRA) admitted last week. At the same time, regulators were urged to make it easier for firms to inform them about what other practices in their area were up to. 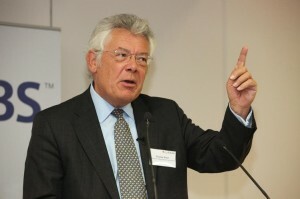 Speaking at the Solicitors Regulation Authority’s (SRA) conference for international lawyer regulators in London last week, former Clifford Chance managing partner Tony Williams, principal of international management consultants Jomati, argued that a useful source of intelligence on misconduct was other law firms in the local area. However, he argued that they were inhibited from contacting the regulator for fear of being seen to be “having a go at your competitors”. A mechanism should be found to encourage this type of reporting, he said. SRA chairman Charles Plant responded that the most difficult situation for regulators was what to do when reports from local firms came in accusing a rival of operating unsustainable business practices. Loss leading in pricing might be acceptable when a firm had a diverse practice, but not when it was applied to its core business, he pointed out. Insurers could also act as valuable informants on misconduct in the marketplace, so regulators should “make a point of being friendly” with them, she added. If loss leading legal services is wrong then I suppose we are going to have to stop supermarkets gas stations and all those others too. Surely purchasers can discriminate and if they are wise only buy the loss leading service! How does anyone know they are operating a particular service at a loss? Perhaps they are running a service efficiently, for example using some Epoq software to backsource most of the work? Just because it seems cheap doesn’t mean that it’s not profitable.